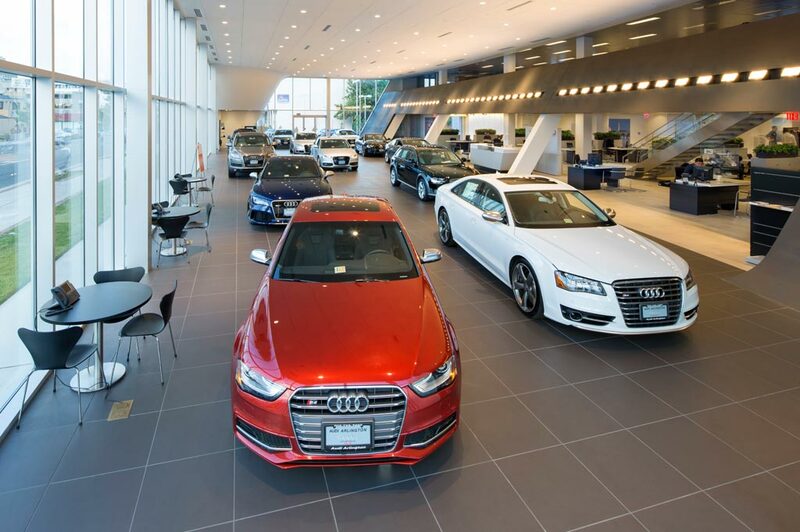 As the only Audi retailer in the Madison, Wisconsin, area, we're proud to demonstrate our commitment to excellence at Zimbrick Audi. It all starts with supplying an outstanding variety of new cars for sale, from the Audi A4 to the Audi Q5 and Audi Q7. It continues with the selection of CPO models at our used car dealership in Madison. But with world-class vehicles comes world-class service responsibility. That's why our Audi-certified sales staff are committed to providing you with a competent and professional shopping experience, from the time you review our model research pages to when you decide to come into the store. Need assistance locking in a rate that works for you? Our Finance Center has your back. Looking to nail down a great Audi lease deal? We offer plenty here. And that's not all our award-winning dealership has to offer. Once you've chosen an Audi car or SUV, you can count on the professionals in our Service Center to help you maintain it with genuine Audi parts. Contact us online or schedule an appointment now. You can rely on Zimbrick Audi, your trusted source for everything Audi in the Madison, Middleton, and Sun Prairie communities. As the only Audi retailer in the Madison, Wisconsin, area, we’re proud to demonstrate our commitment to excellence at Zimbrick Audi. It all starts with supplying an outstanding variety of new cars for sale, from the Audi A4 to the Audi Q5 and Audi Q7. It continues with the selection of CPO models at our used car dealership in Madison. But with world-class vehicles comes world-class service responsibility. That’s why our Audi-certified sales staff are committed to providing you with a competent and professional shopping experience, from the time you review our model research pages to when you decide to come into the store. Need assistance locking in a rate that works for you? Our Finance Center has your back. Looking to nail down a great Audi lease deal? We offer plenty here. And that’s not all our award-winning dealership has to offer. Once you’ve chosen an Audi car or SUV, you can count on the professionals in our Service Center to help you maintain it with genuine Audi parts. Contact us online or schedule an appointment now. You can rely on Zimbrick Audi, your trusted source for everything Audi in the Madison, Middleton, and Sun Prairie communities.